The Myriado Mobile plant is a water treatment plant the size of a suitcase. It is powered by a car battery or any other 12V DC power source. 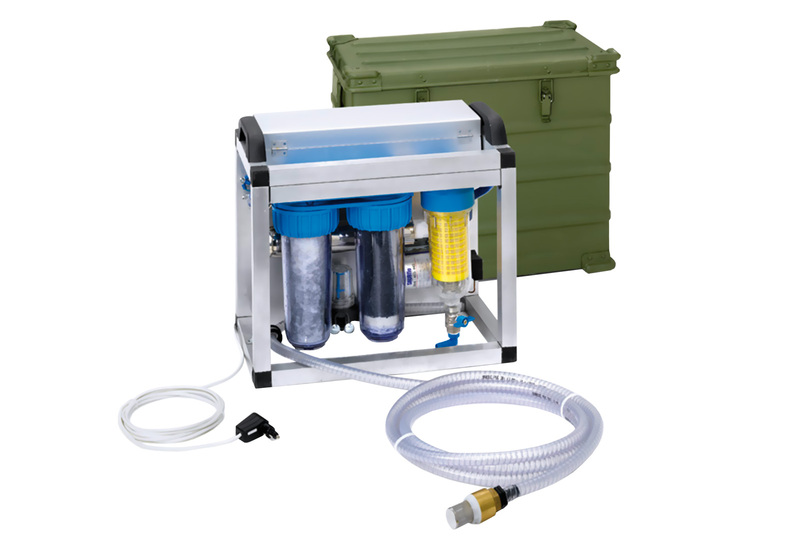 In the standard version, it can provide up to 150 liters of drinking water compliant with WHO standard per hour. 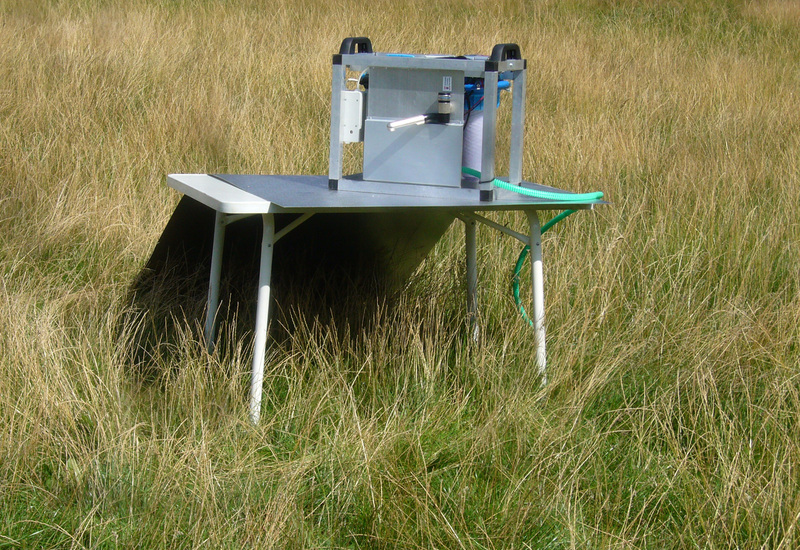 The unit is designed as a fully mobile solution for drinking water. All the setup required is to connect the plant to a 12V DC power source (car battery or equivalent) and a suitable raw-water source. The plant can then be switched on and starts producing drinking-water. 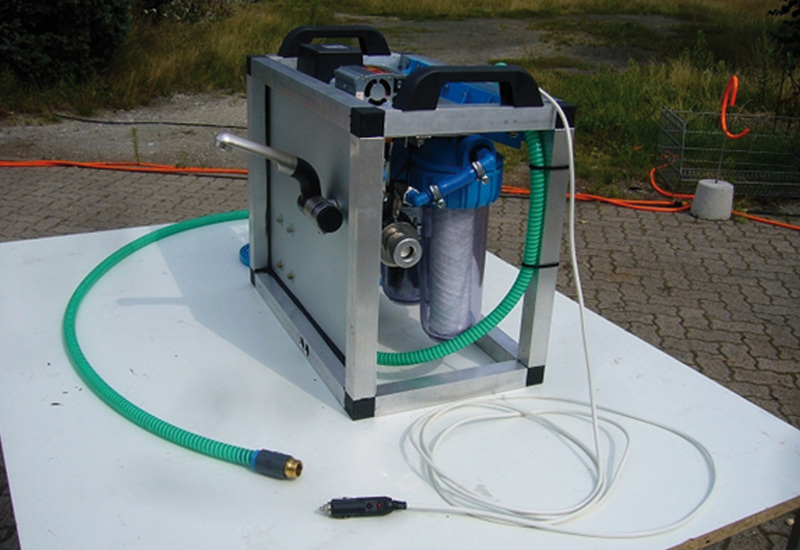 A pump capable of aspirate the raw-water from 2m depth and pumping it up to a maximum of 8m is included. The water is filtered in a multi-stage filtration group comprising amongst others an activated carbon filter to remove sediments, bad odors and tastes as well as most heavy metals and agro-chemicals. It is then disinfected in a flow-UVC sterilizer, inactivating any pathogens. Power supply of the UVC flow through system and (optional ozonisation) via mains connection 230 V~, optional from a Myriado power box (solar power unit). The electric control unit comprises of main switch, main fuse and indicator light. Raw water treated with the Myriado-home has to comply with the chemical WHO standards like for instance salinity < 2500 µS/l, nitrite < 3 mg/l, iron < 0,2 mg/l, heavy metals etc. Higher amounts of chemical ingredients require additional measures like de-ironing, denitrification, additional absorber cartridges for arsenic etc. In doubt applicability of raw water is to be assessed with an analysis. Water treatment occurs via back-flushable pre filter, a charcoal and a fine filter. UVC disinfection is carried out with a UV flow-through disinfection unit with optical and acoustic alarm in case of failure. Flow rate limitation of approx. 12 L/min to achieve always safe disinfection.